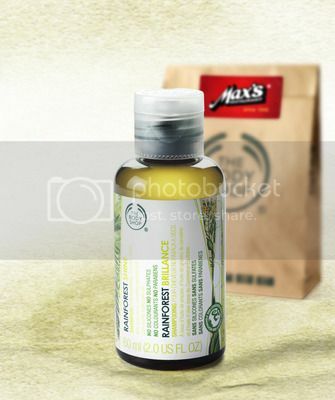 A special Father’s Day surprise beckons as Max’s Restaurant and global cosmetics and beauty brand The Body Shop team up to create an unforgettable celebration for fathers on their special day. Max’s offers a slew of delectable, home-cooked dishes to help create a memorable experience for the entire family on Father’s Day. The ideal venue to surprise dad, diners will receive an exciting Men’s Exclusive Gift by The Body Shop with every minimum food spend of PhP1,300. Customers can choose from a wide variety of invigorating skin products especially handpicked by Max’s and The Body Shop for dads: Seaweed Deep Cleansing Facial Wash, Tea Tree Skin Clearing Facial Wash, Rainforest Shine Shampoo, Rainforest Moisture Conditioner, Peppermint Cooling Lotion, and Peppermint Cooling Foot Spray. Available for dine-in, take-out and delivery transactions, this pampering treat aims to pay tribute to dad, who is the “pillar” of the home. Catch Max's special treat for fathers from June 11 to 17, 2012 in all of Max's Restaurants nationwide. As a brand that has nurtured relationships for 67 years, Max’s continues to captivate the palate with its world-famous, sarap-to-the-bones Fried Chicken and classic homegrown dishes like Sinigang, Kare-Kare, Crispy Pata and Pancit Canton. This season, Max’s is providing the most compelling reasons to celebrate with the entire family on Father’s Day. It’s a heart-warming story that begins with delectable food, passionate service, and the most special man in our lives – DAD.